24 Oct – Photo gallery #1 uploaded. 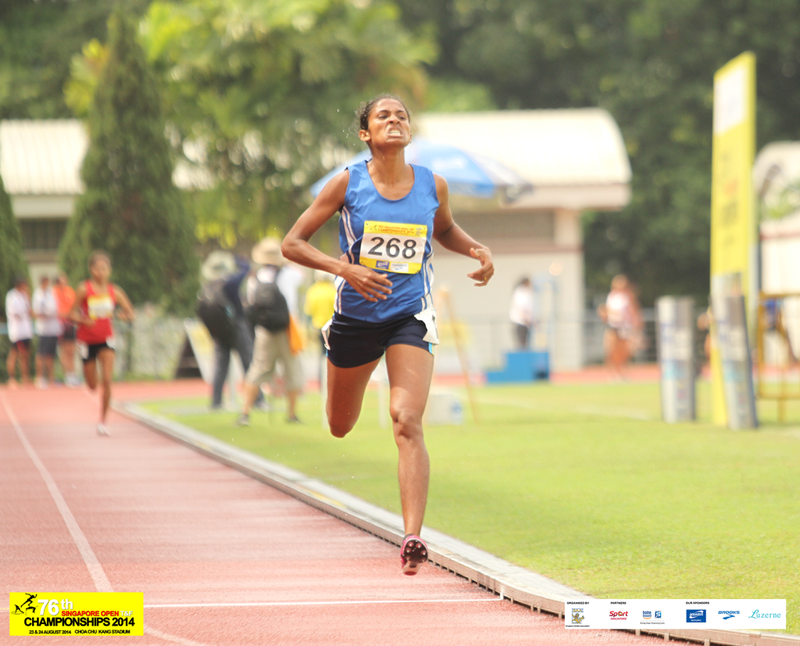 12 Oct – Md Nasiruddin (Men High Jump) & Eugenia Tan (Women 100m heats) top performer. 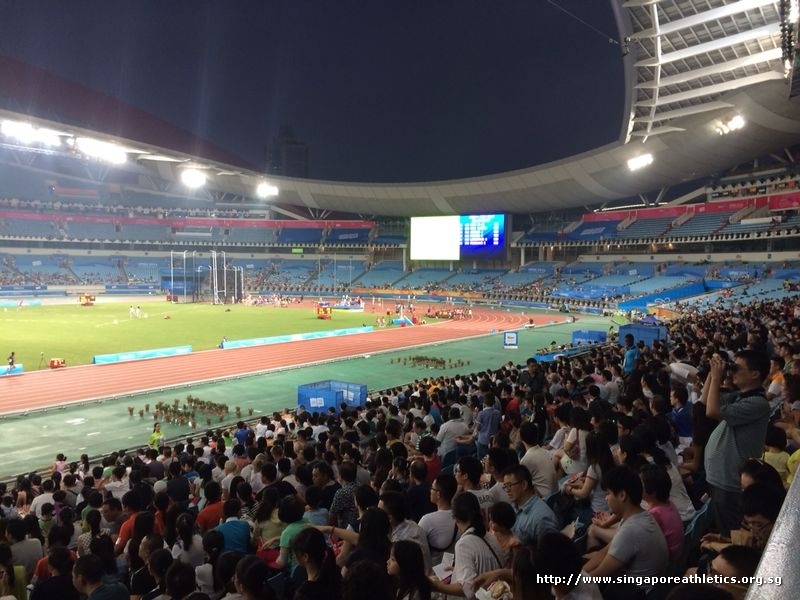 12 Oct – Day 2 results uploaded. 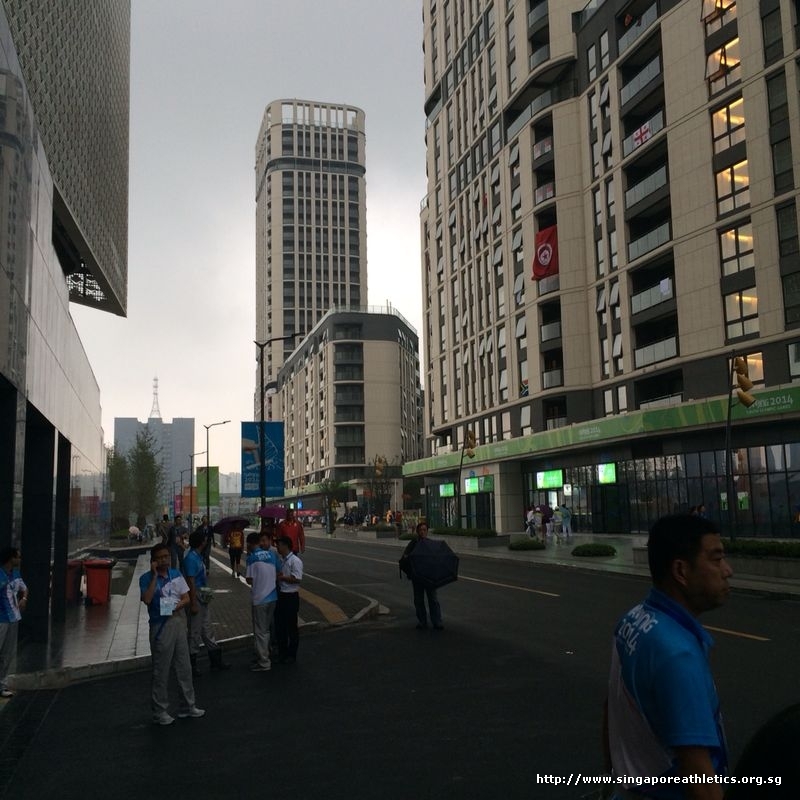 11 Oct – Day 1 results uploaded. 10 Oct – Map layout posted. 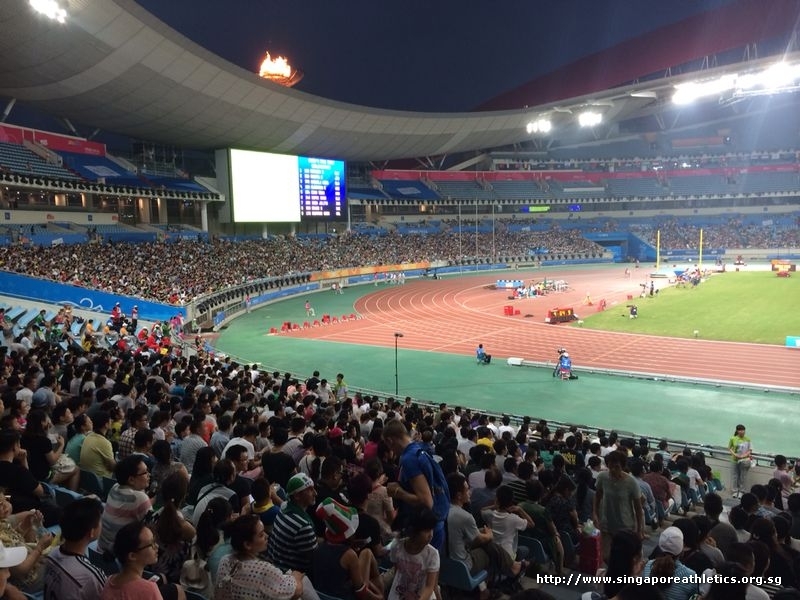 9 Oct – Updated schedule and Start List uploaded. 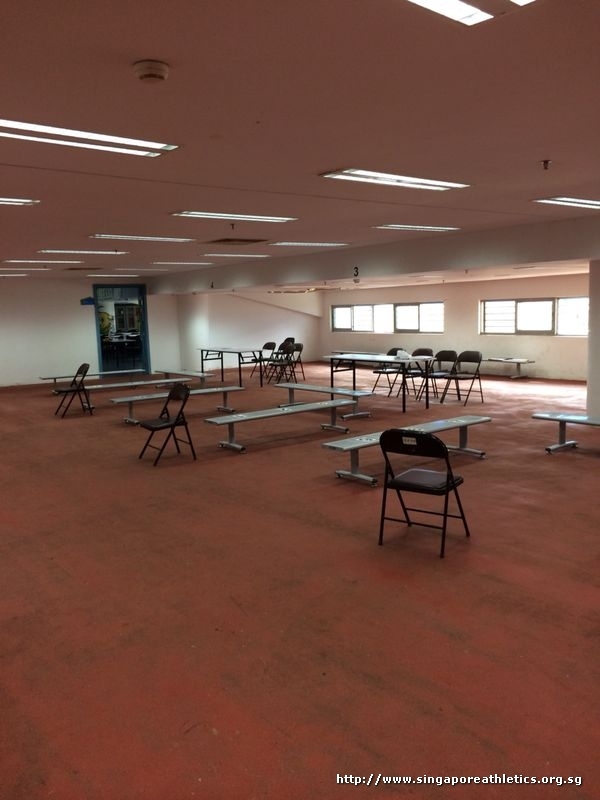 2 Sep – Updated schedule, entry form & conditions. 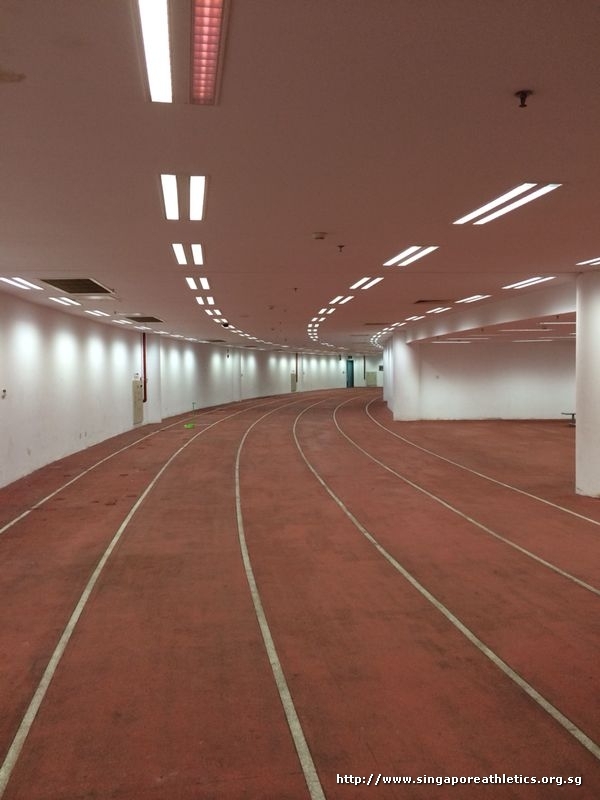 2 Sep – Venue will be Kallang Practice Track. 29th Aug – Event page created. 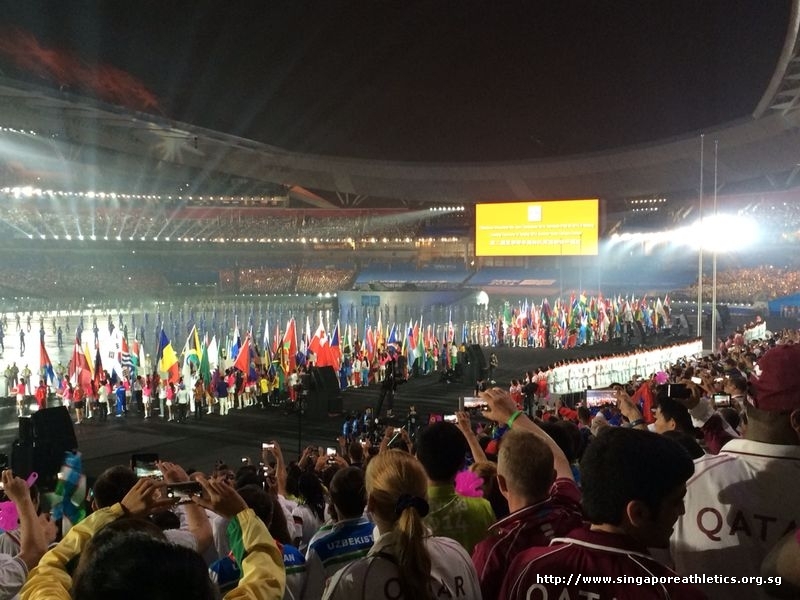 Registration is closed as of Friday, 26th Sep 2014 at 5pm sharp . 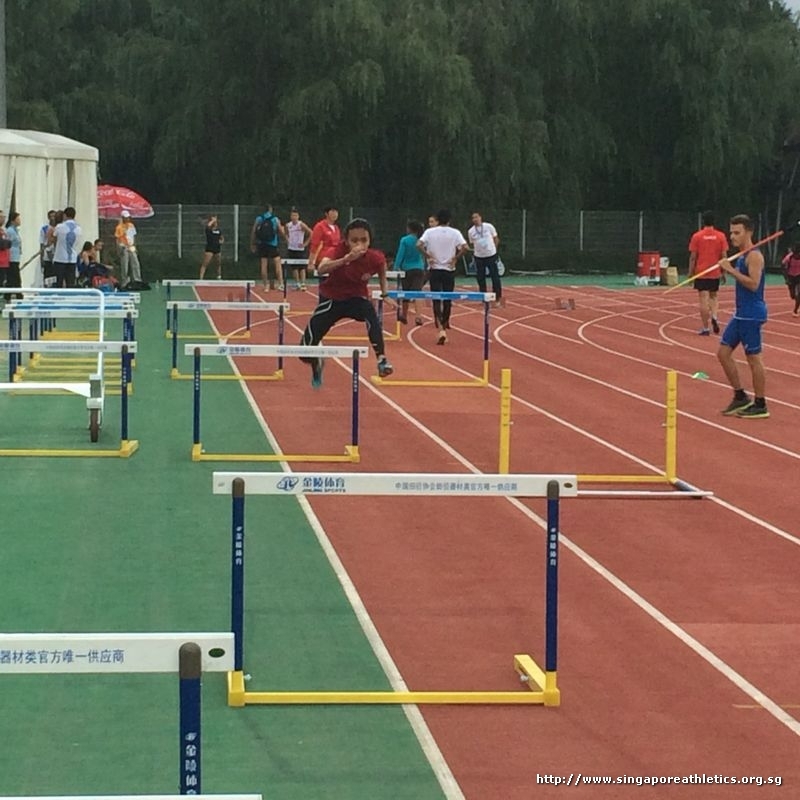 You can find the full athletics results here. 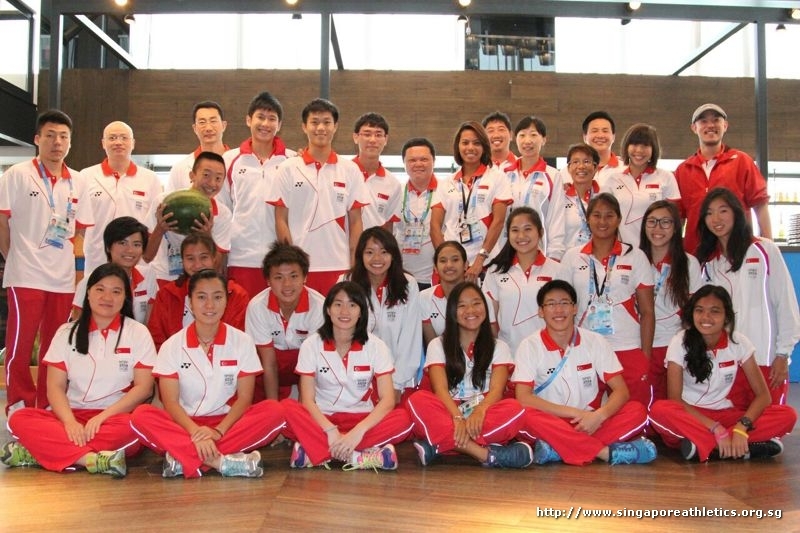 Held on 17th August at Marina Promontory. You can download the results here. 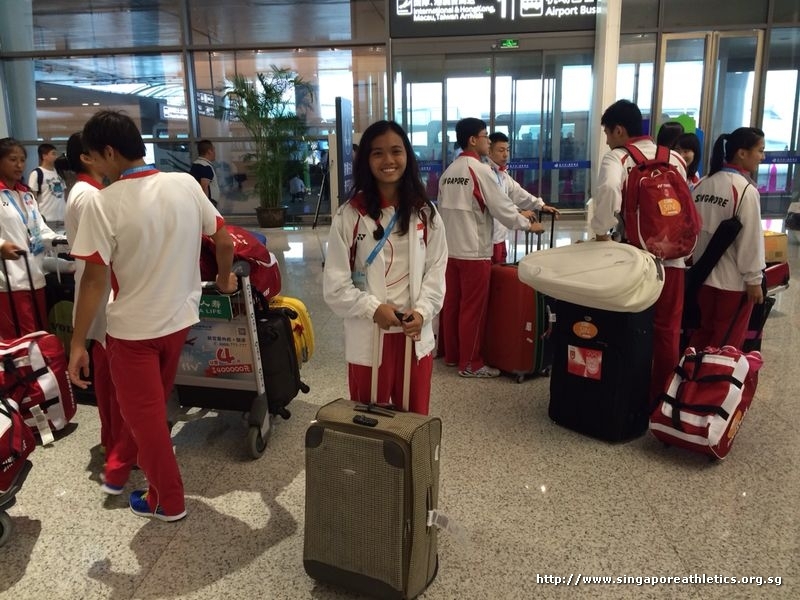 Singapore athletes needs to seek sanction from SAA if they wish to participate. 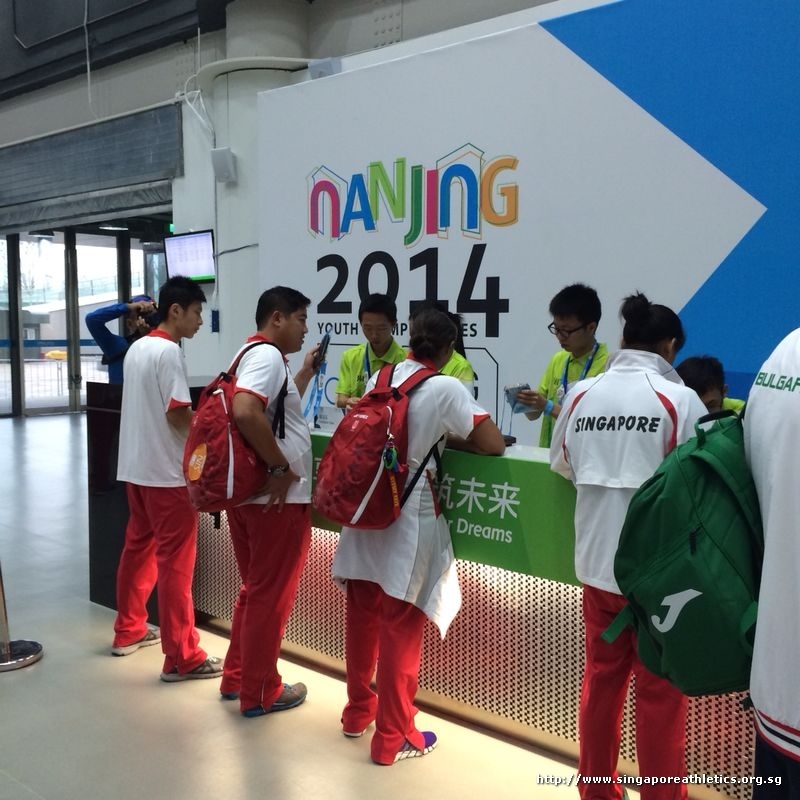 Athletes also need to arrange your own registration, accommodation and flight bookings. 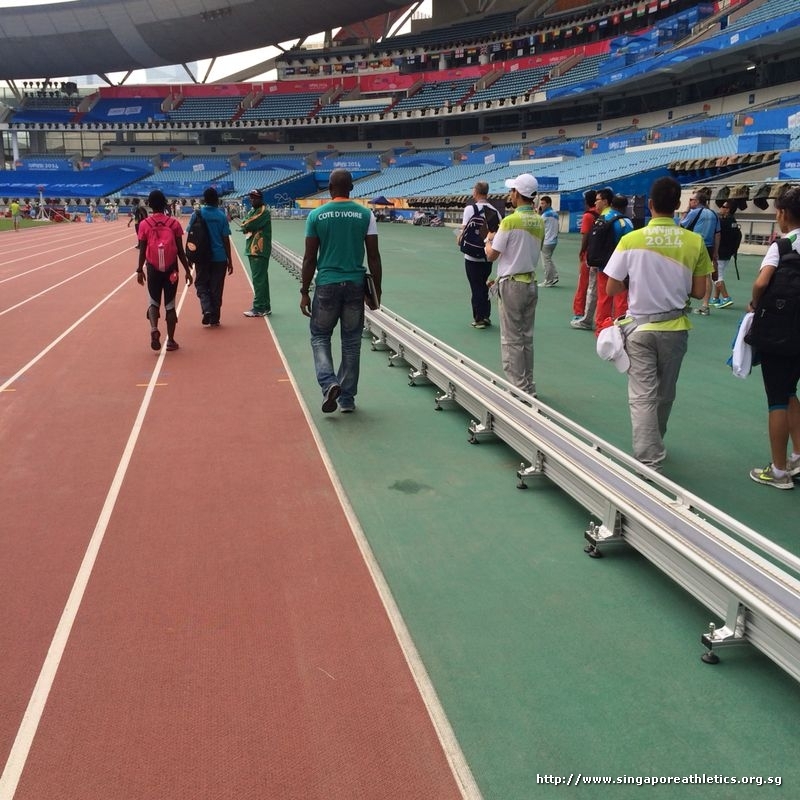 The Singapore Airlines Charity Run is one of the charity activities Singapore Airlines is holding as part of the lead up to Singapore’s 50th Birthday celebrations in 2015. 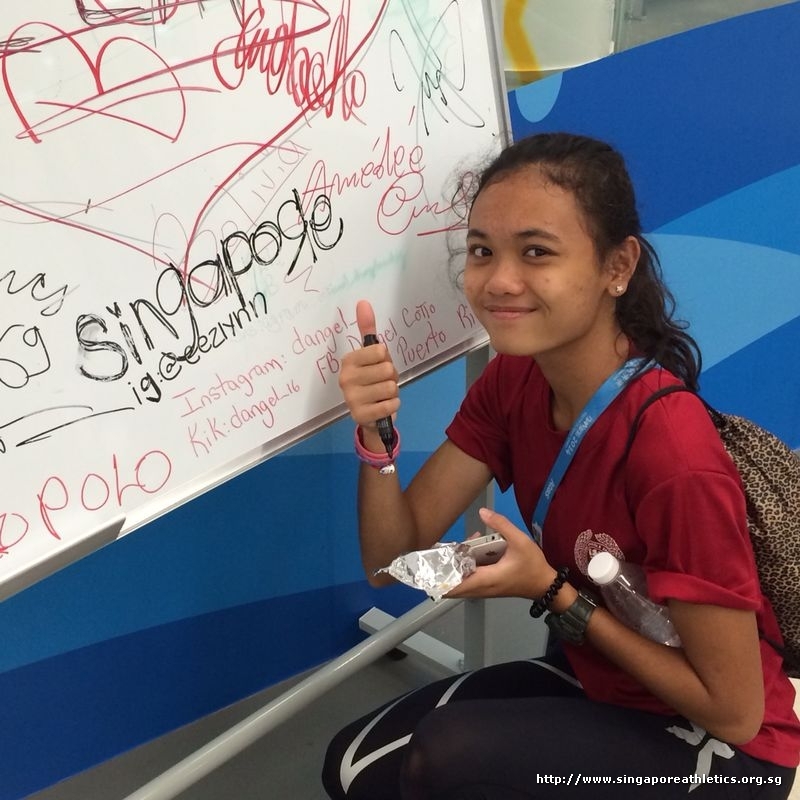 Through these activities, Singapore Airlines will be raising funds for the Community Chest of Singapore, in tandem with the Care & Share Movement. Accurate as of 23 Aug, 6:35pm. 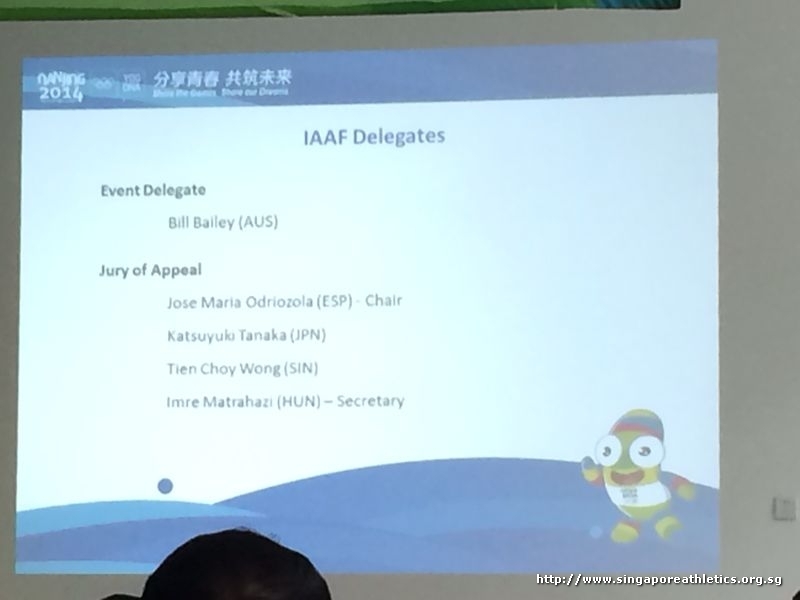 Excludes men high jump result, to resume on Day 2, 1pm. 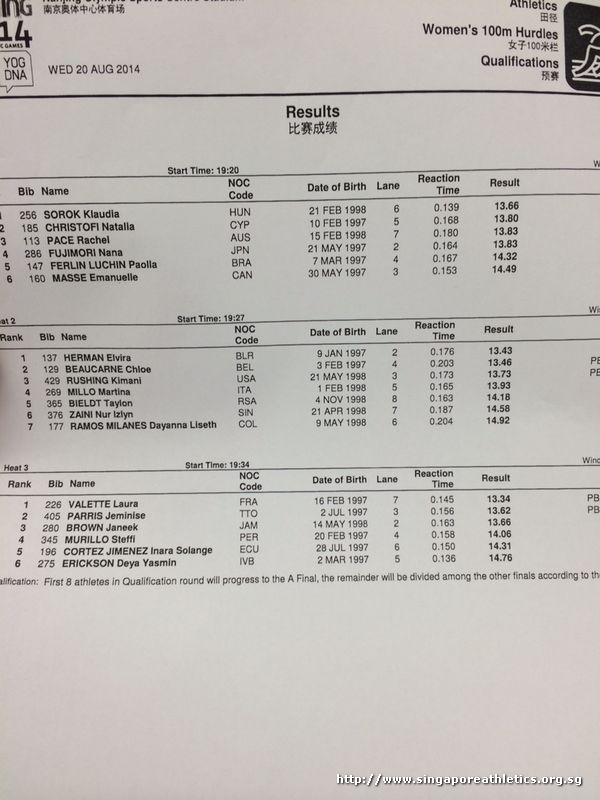 Day 1 results in PDF. 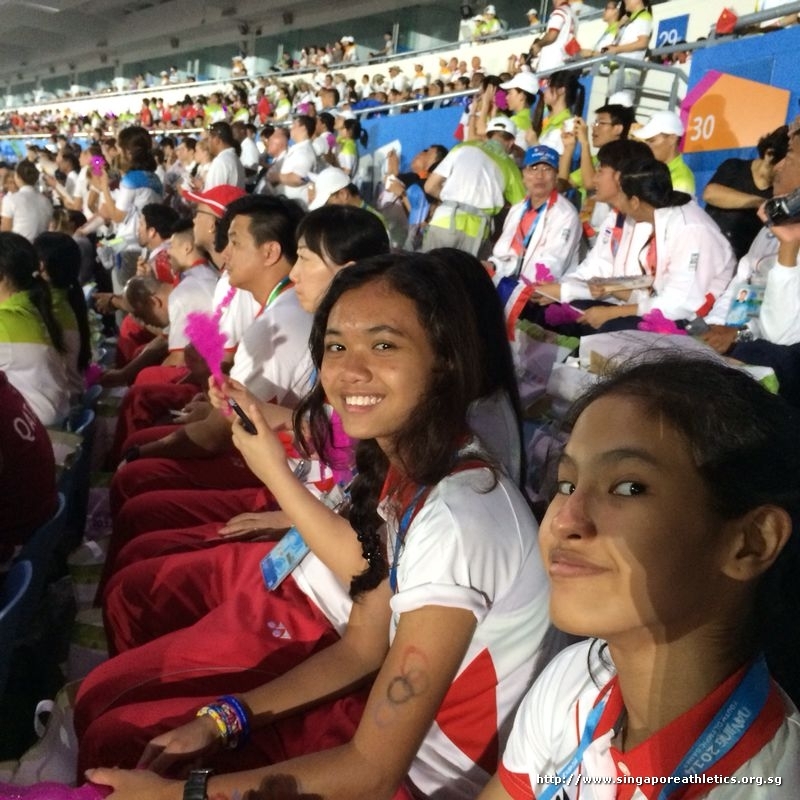 Marestella, Torres from the Philippine won the women long jump final with a 6.45m (2.4m/s) effort. The 33-year-old pulled her best leap on her sixth final jump. 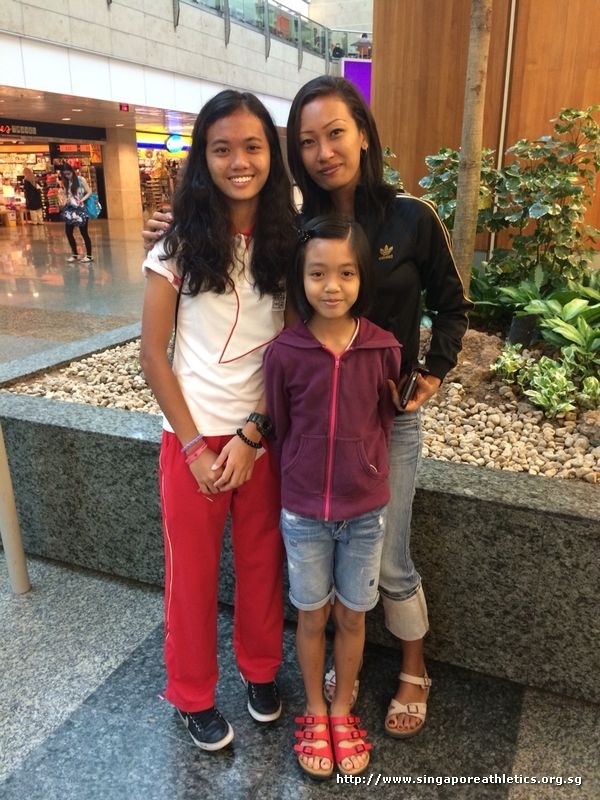 Malaysia’s wonder girl in the jumps, Noor Amira Mohamad Nafiah will be disappointed to settle for silver in the women long jump, 6.14m -0.1m/s. 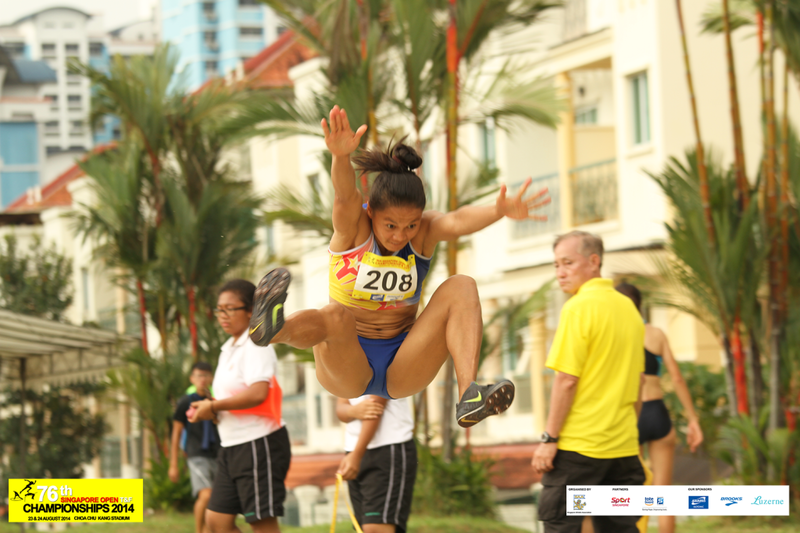 Her specialty is the triple jump. 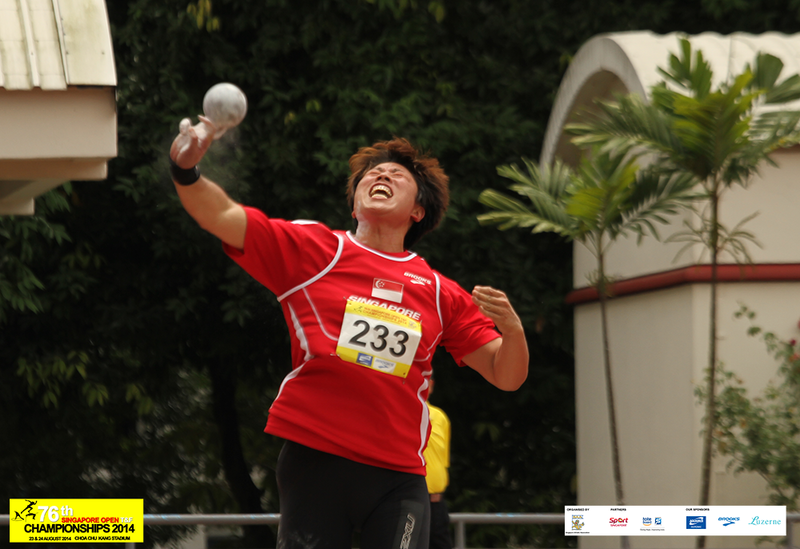 Suzuki, Takanao of Japan fended of Thai’s Thawat Khachin challenge in the men shot put for gold. 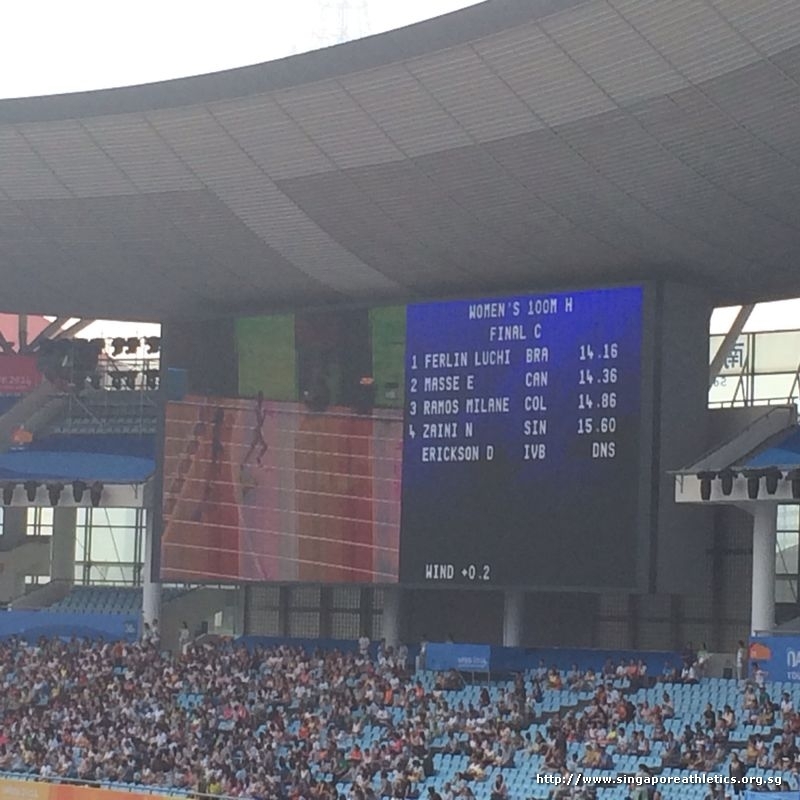 His effort of 16.59m was enough to clinch first place. 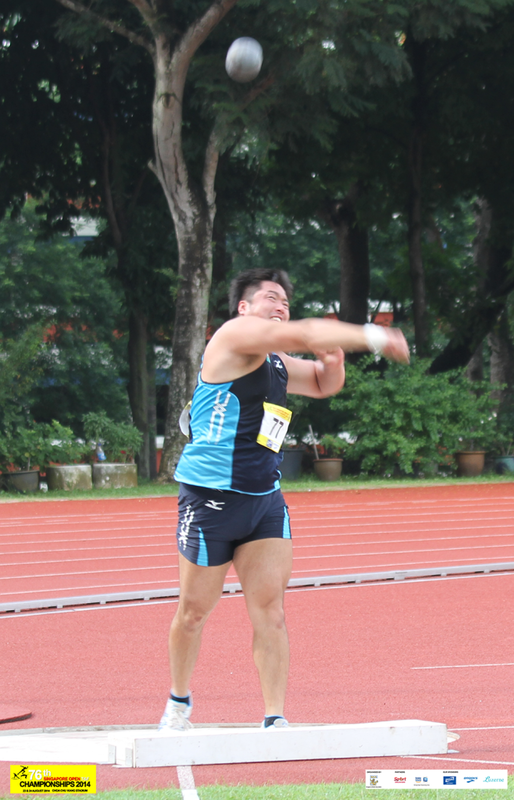 Singapore national thrower Wong Kai Yuen had a below par performance in the men shot put. 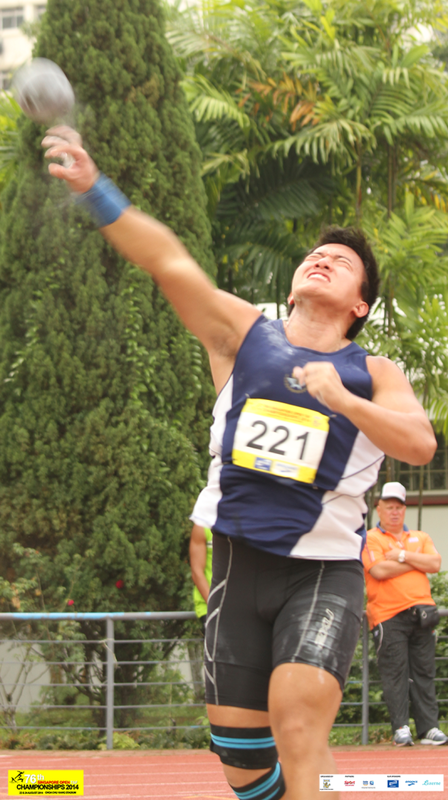 He threw 15.79m for bronze under SAFSA color. 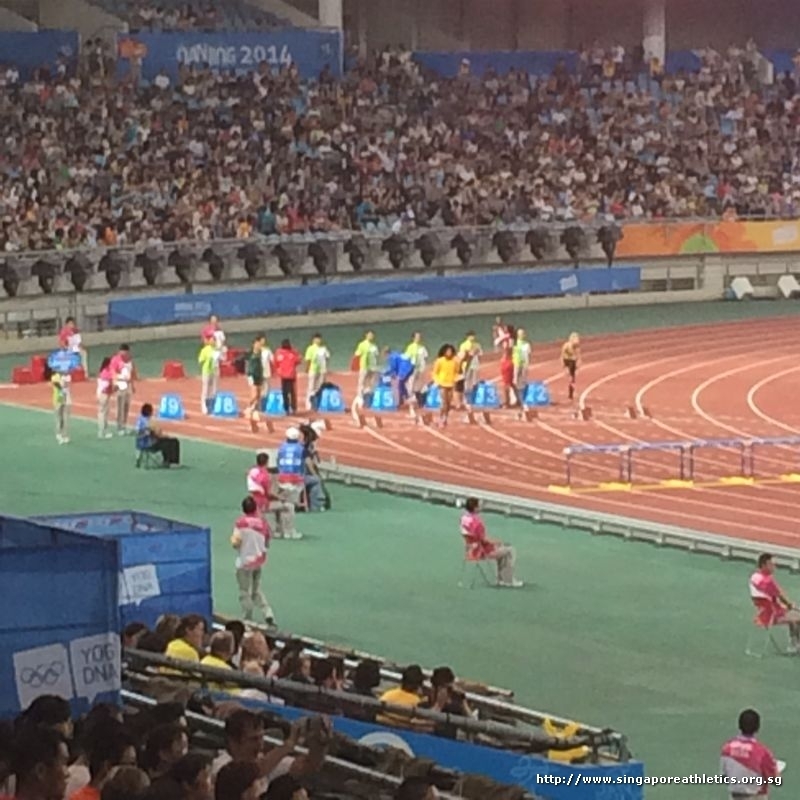 It’s a 1-2 finish for Japan in the women 400m hurdles. 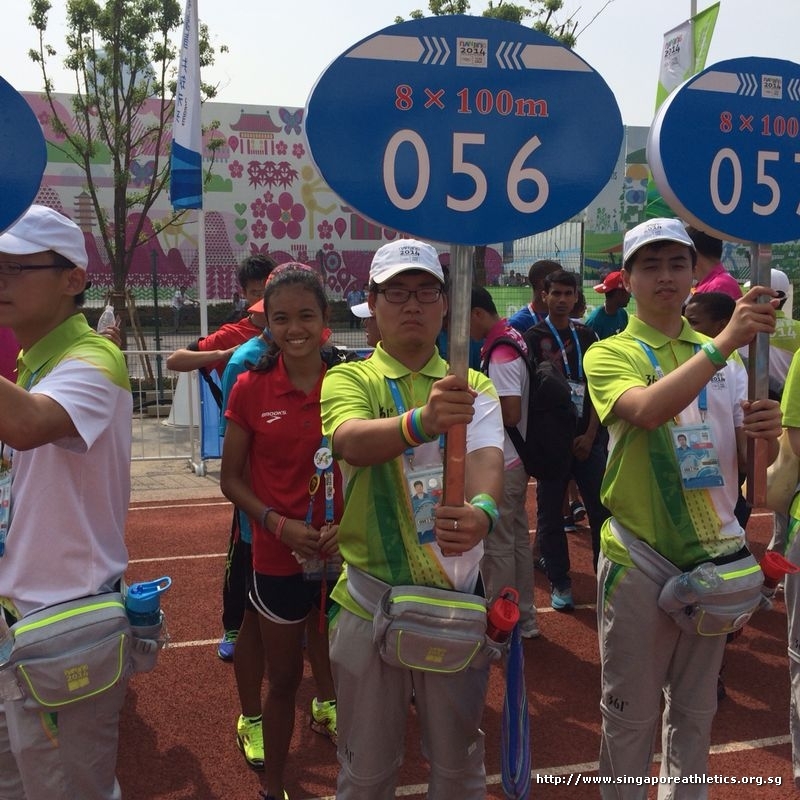 Kira, Manami (#49) passed the finishing line in 58.18s to Hosaka, Maiko’s (#48) 61.11s. 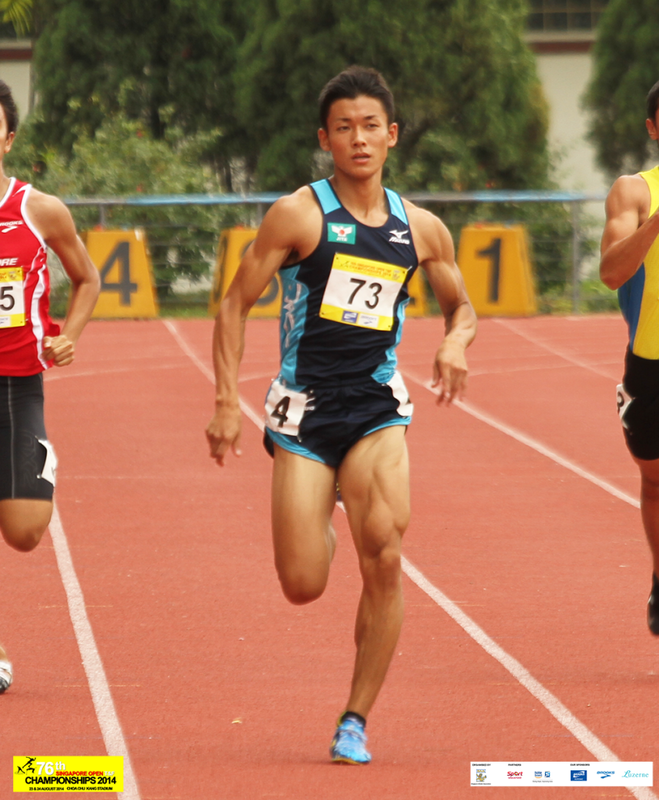 The men 800m race was a timed final. 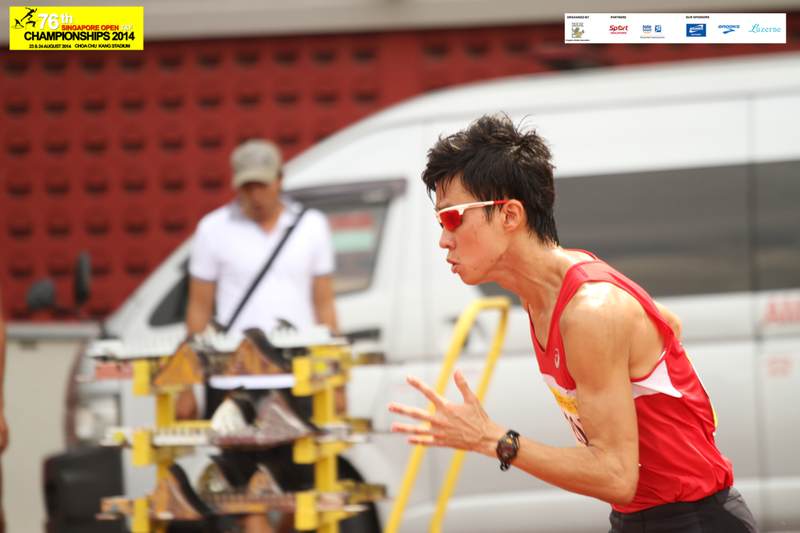 #81 Yanagisawa, Junki of Japan emerged the fastest among the field with 1:54.18min. 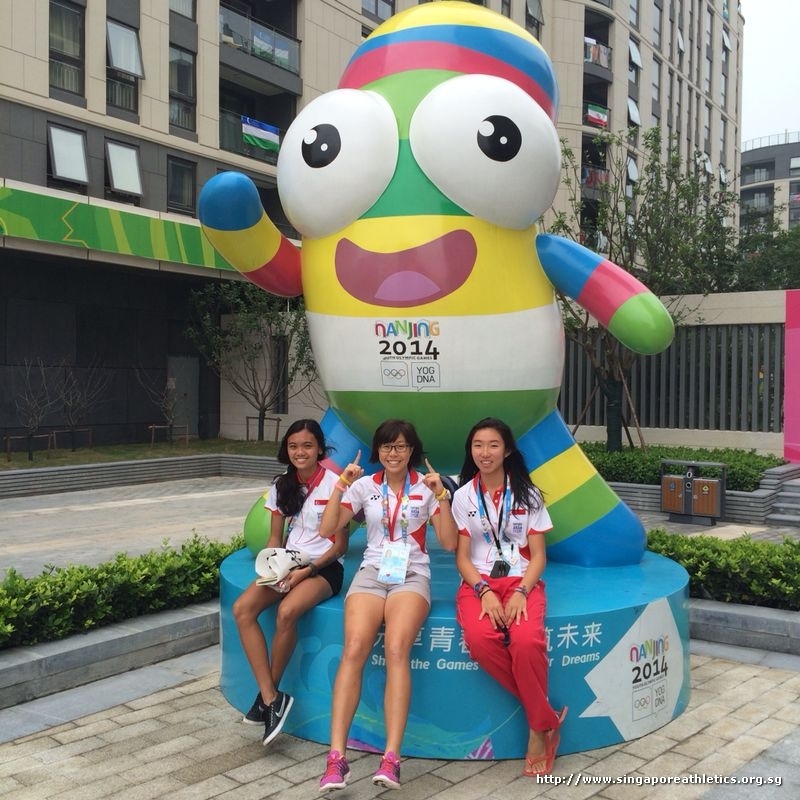 #266 Heidizayat, Tapsir is Singapore top Masters athlete. 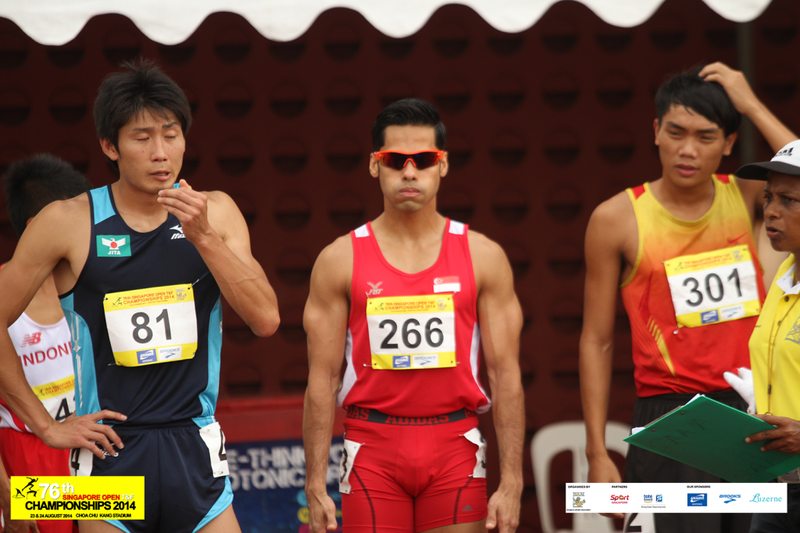 Soh, Hua Qun of NUS ran 1:57.91min for the 800m men timed final, 6/18 overall ranking. 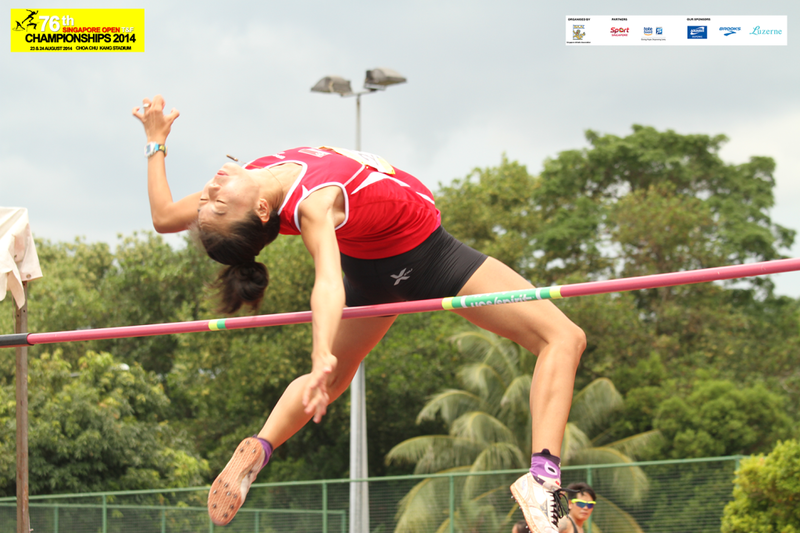 Singapore top high jump youth athlete, Valerie Cheong soared to a new personal best earlier. 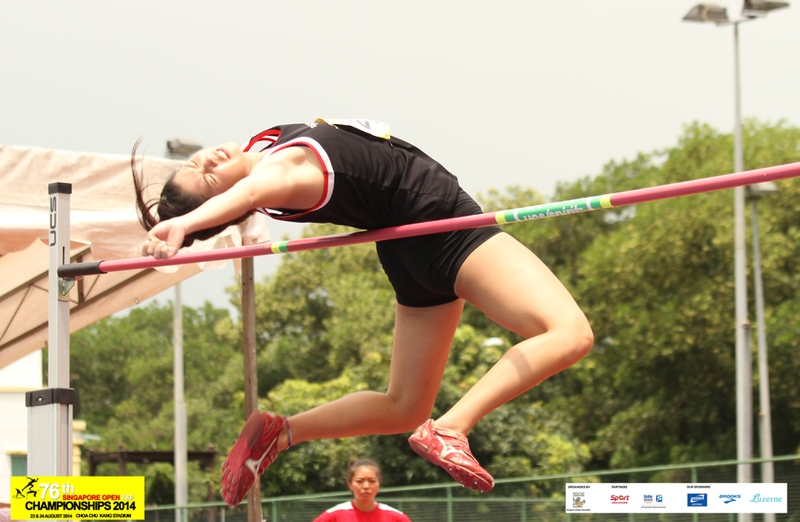 She improved her PB by 3cm to 1.65m. 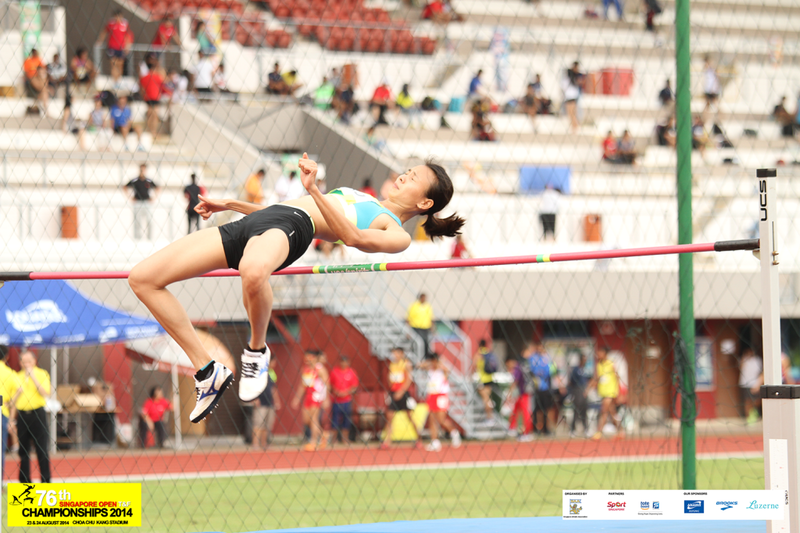 Singapore’s Michelle Sng journey to SEA Games 2015 has only just began, quite positively today as the 27-years-old achieved a season best effort of 1.76m, which earned her a bronze in the women high jump final. 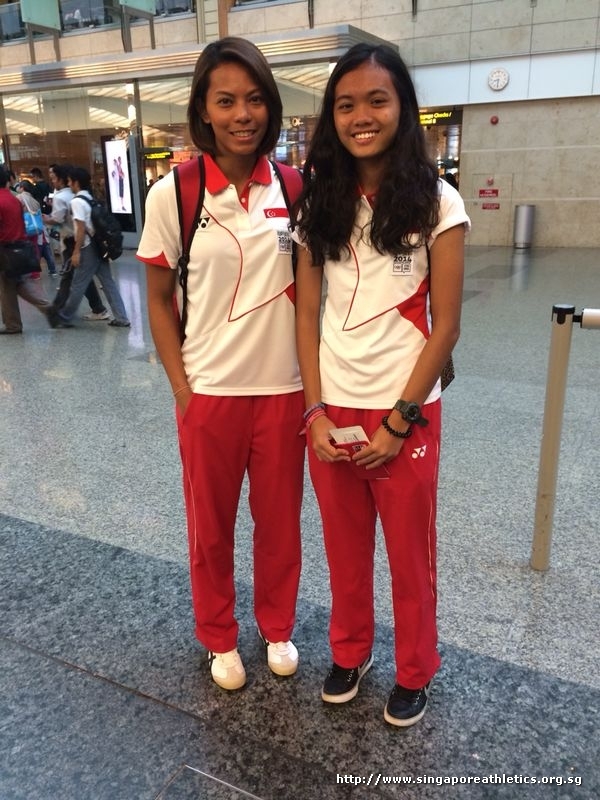 SEA Games 2013 women high jump bronze medalist Pham, Thi Diem clinched gold in the Championship earlier. 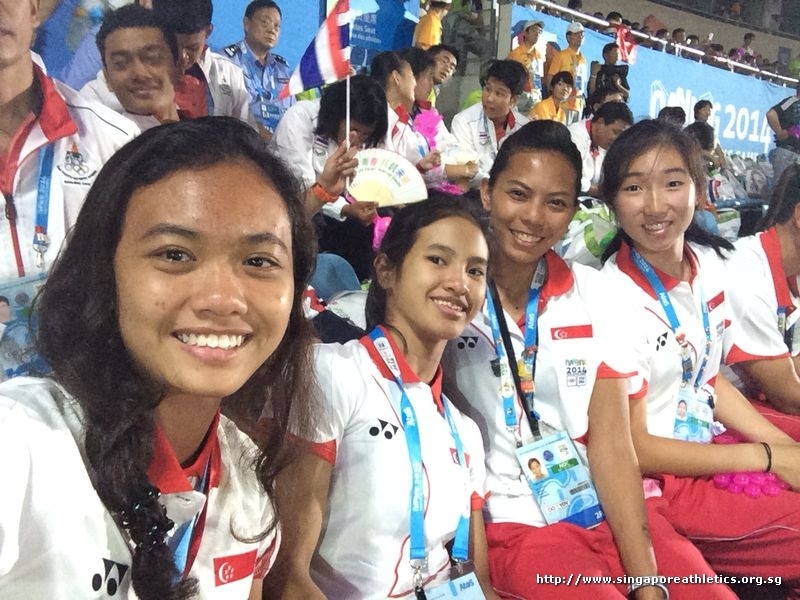 A 1.79m effort was enough for gold. 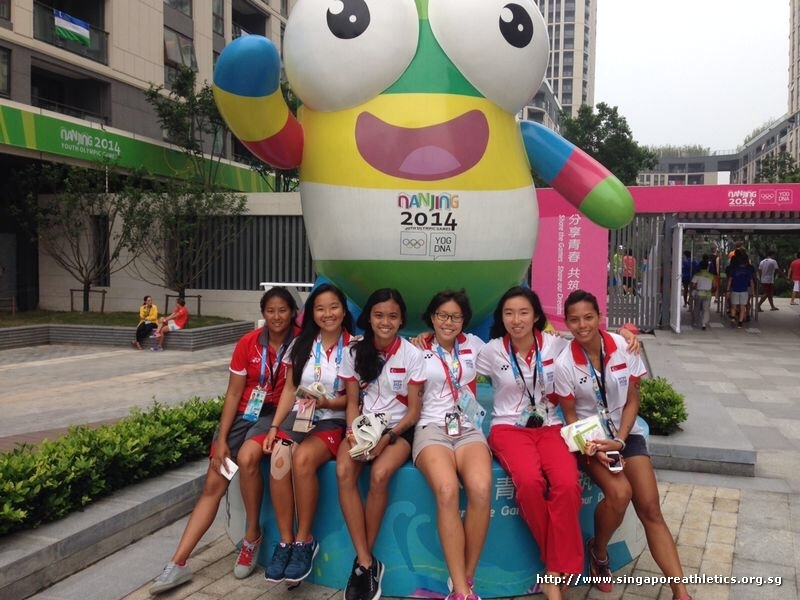 SEA Games 2013 double SEA Games gold sprint champ Vu, Thi Huong (#299) being chased by our sprint queen Shanti Veronica Pereira (#227). 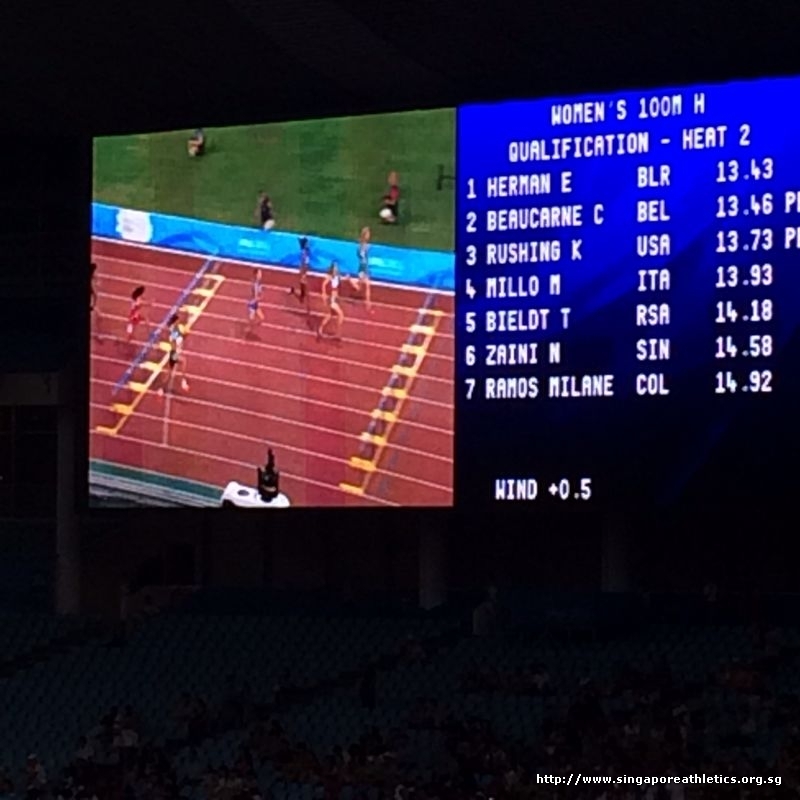 The former finished the 200m women final with gold (23.82s), to the latter, a silver (24.39s). 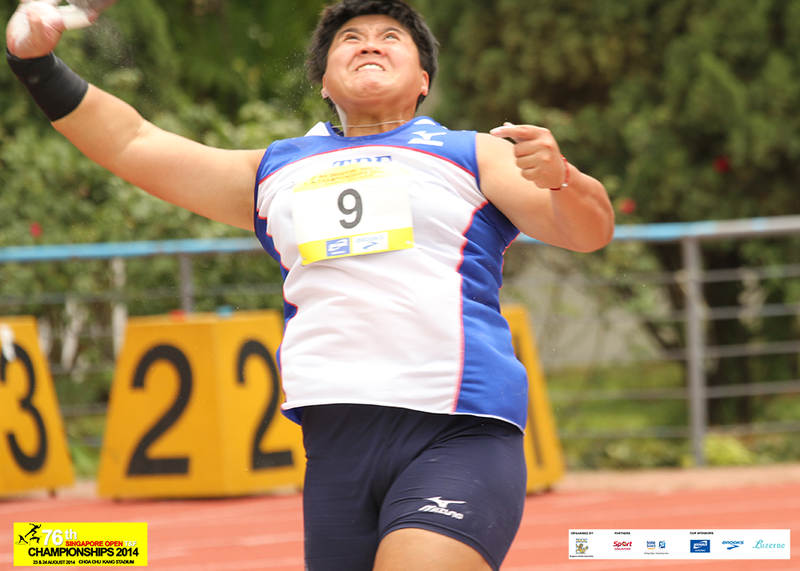 Lin, Chia Ying of Chinese Taipei had a massive throw of 17.02m in the women shotput, eclipsing her other competitors. 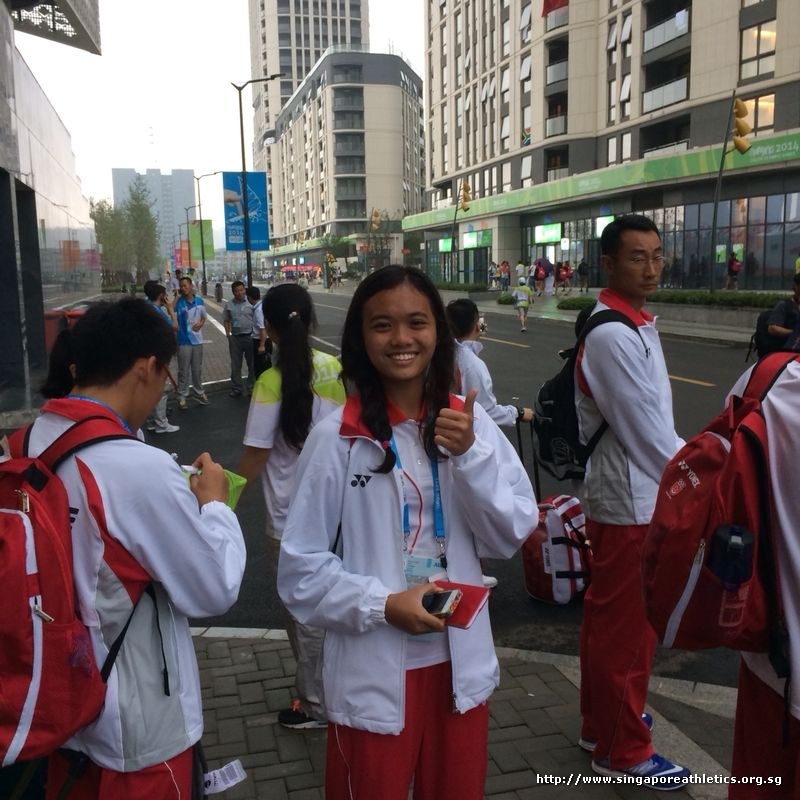 Singapore’s Zhang Guirong missed the bronze as she could only muster a 14.04m throw finishing fourth overall in the women shot put rankings. 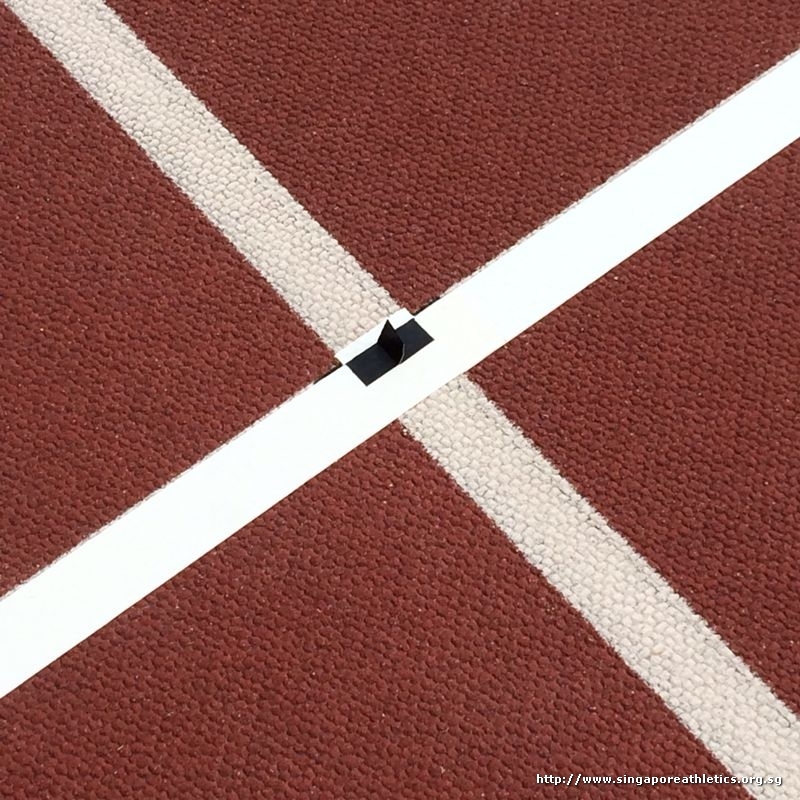 Her last season best effort was 14.99m. 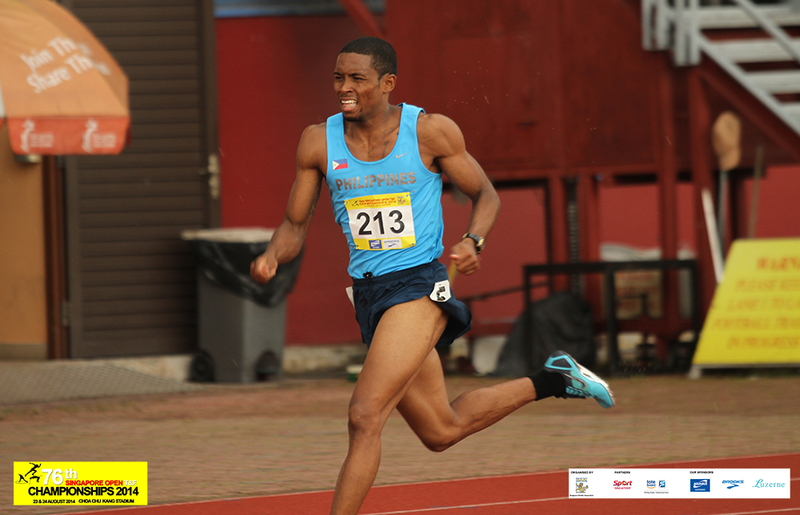 Eric Shauwn, Cray ran 51.60s in the men 400m hurdles final. 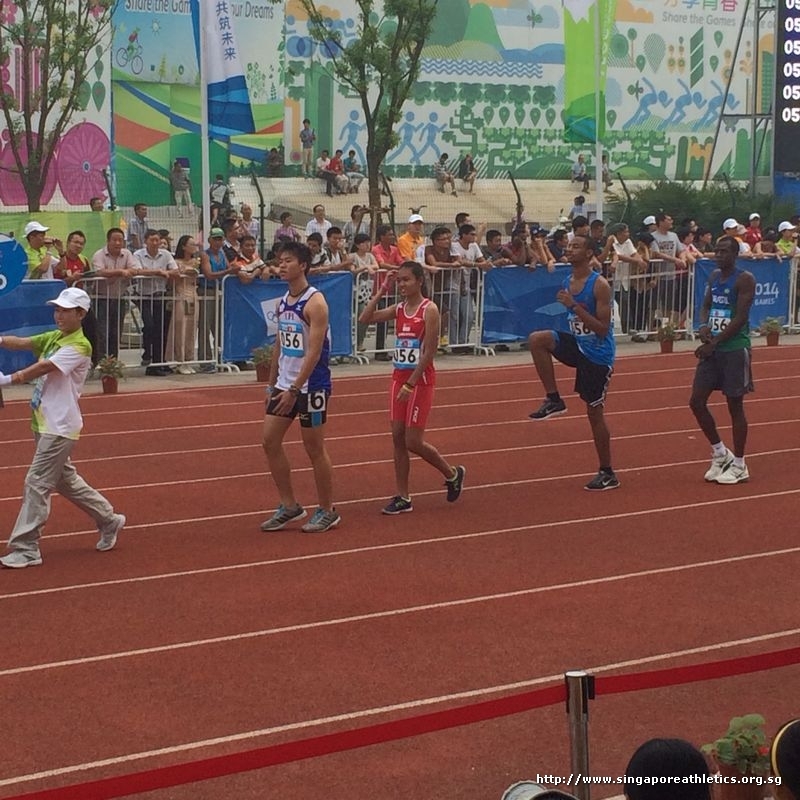 The 26-years-old running for Philippine clinched gold and looks good to defend his SEA Games title next year in Singapore. 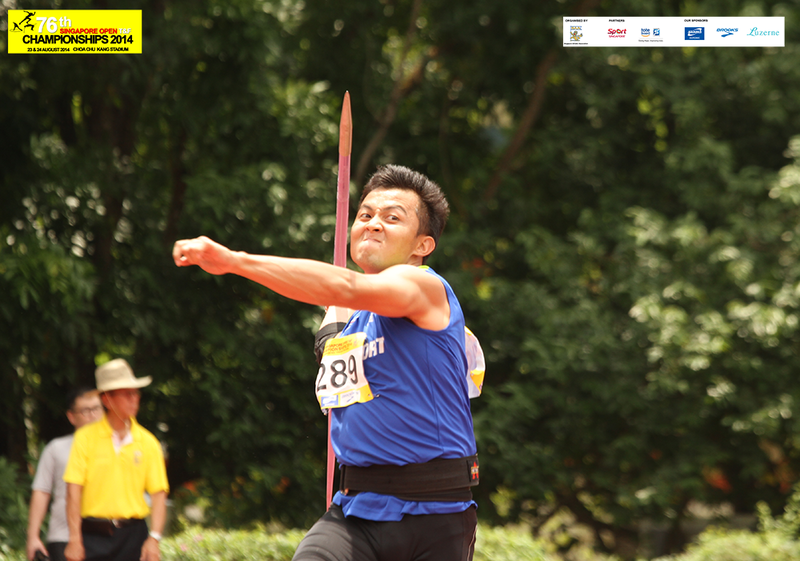 Hussadin Rodmanee of Thailand was the only athlete in the men javelin final field to launch a above 70 metres throw earlier with a brilliant 72.10m effort. 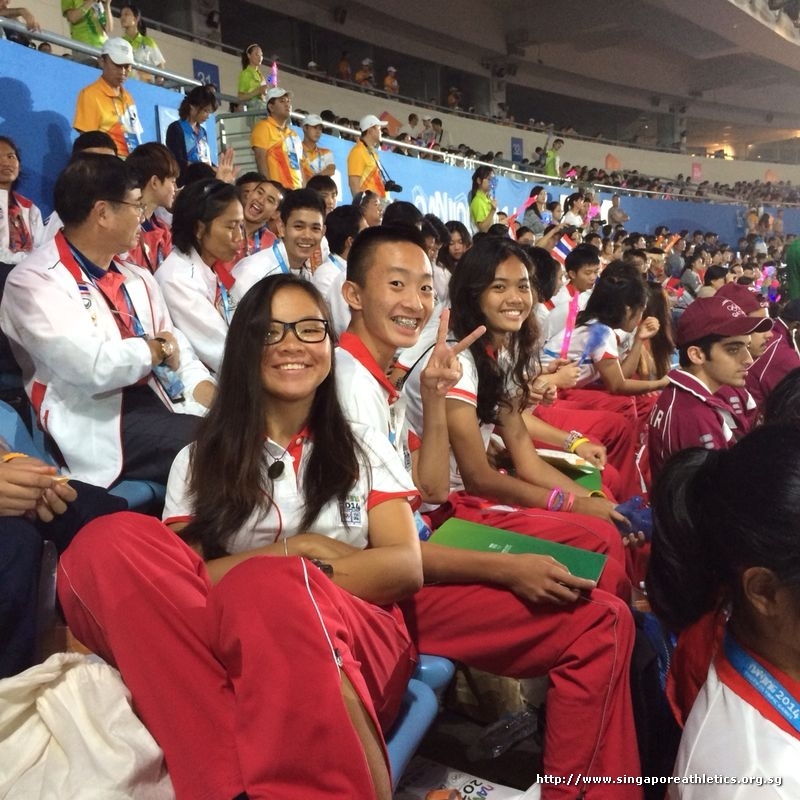 The SEA Games 2013 silver medalist upstaged his Thai compatriot, Peerachet, Jantra, who was SEA Games 2013 champion, relegated third in the standings. 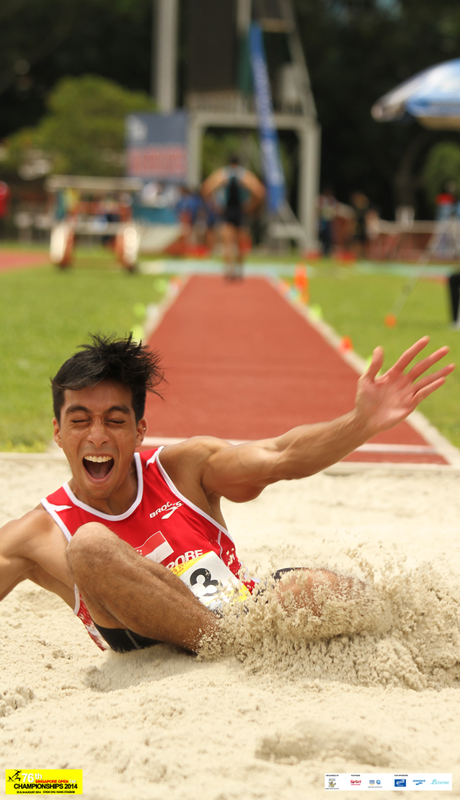 It was an exciting men Long Jump Open final, as the lead changed hand multiple times. 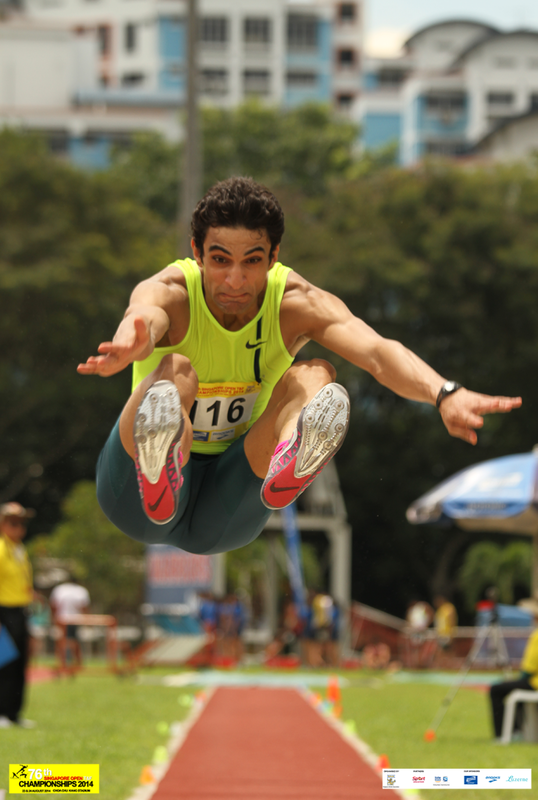 But it was Kuwaiti Saleh, Alhaddad who emerged the champion who leapt 7.72m (0.7m/s) to clinch gold. 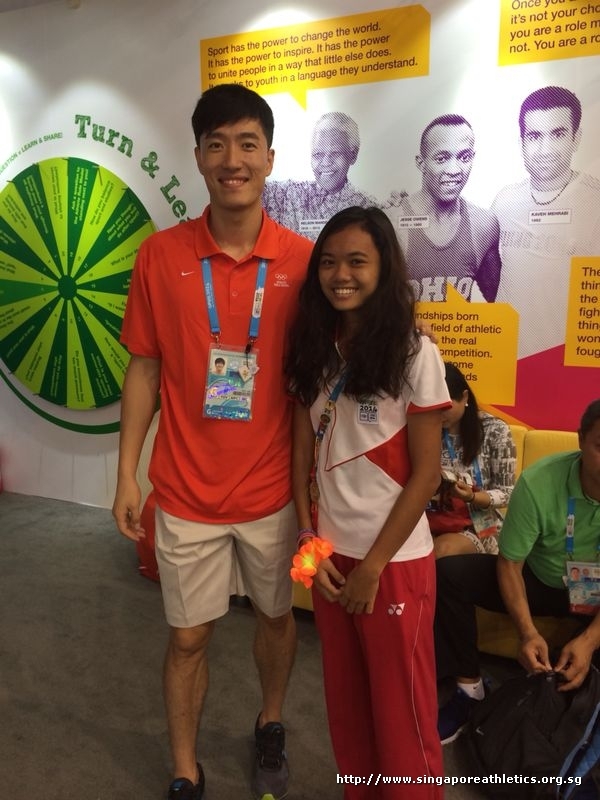 It was a superb outing for Khan, Meng Linn at the Singapore Open earlier as he had a massive PB. 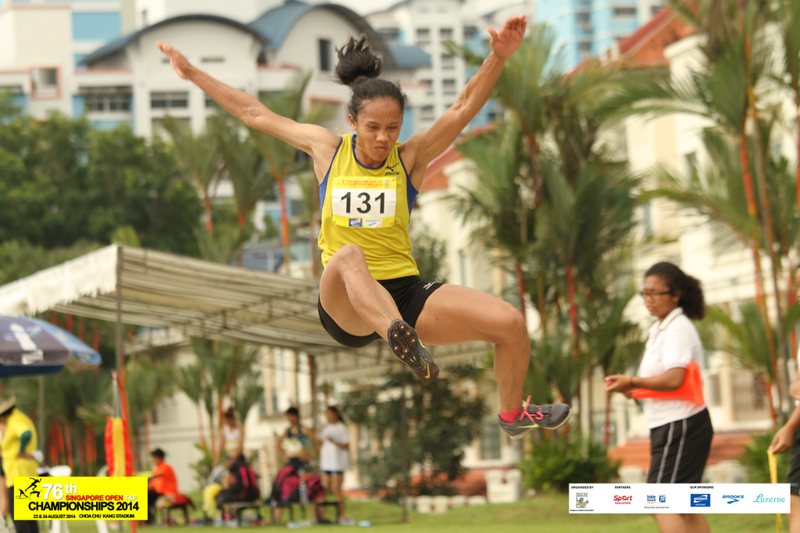 A 7.26m effort, that’s a 16cm improvement in the long jump. Good job! 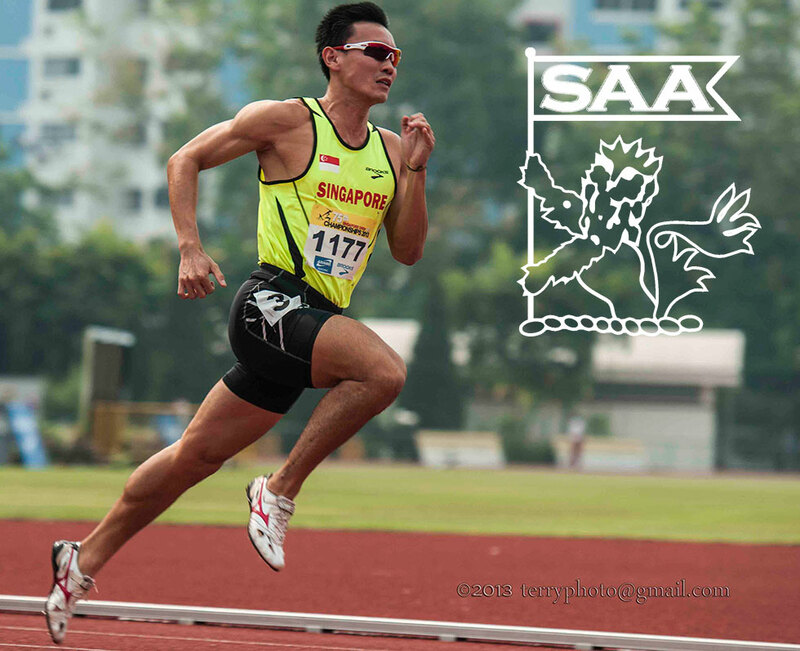 Kenneth Khoo will be representing Singapore in the Men 800 Meter Run Open at the 76th Singapore Open Track & Field Championships 2014. 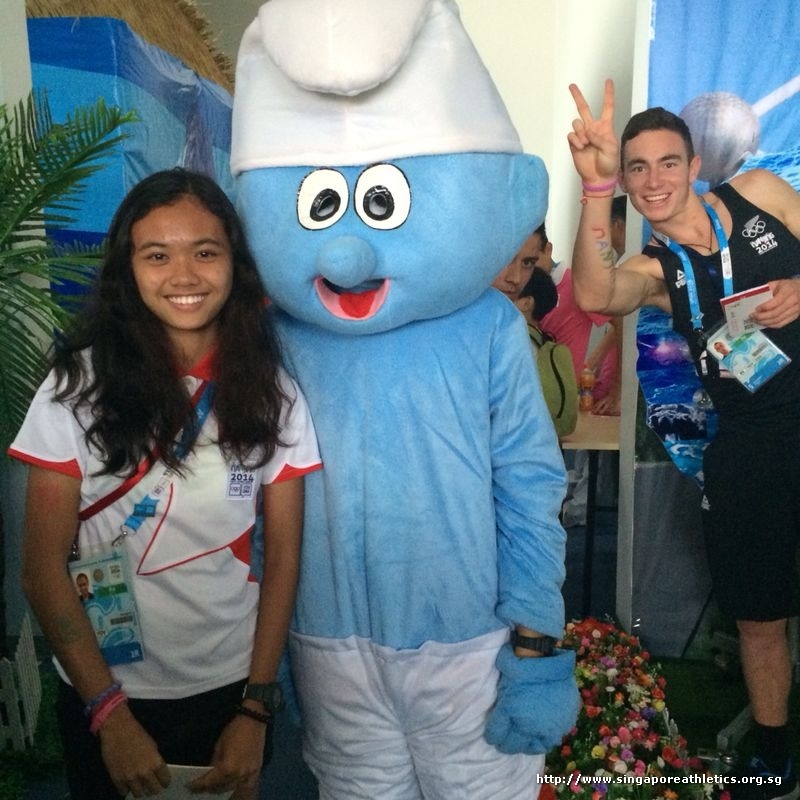 Here’s is his profile awareness of our selected National Athletes for the competition. 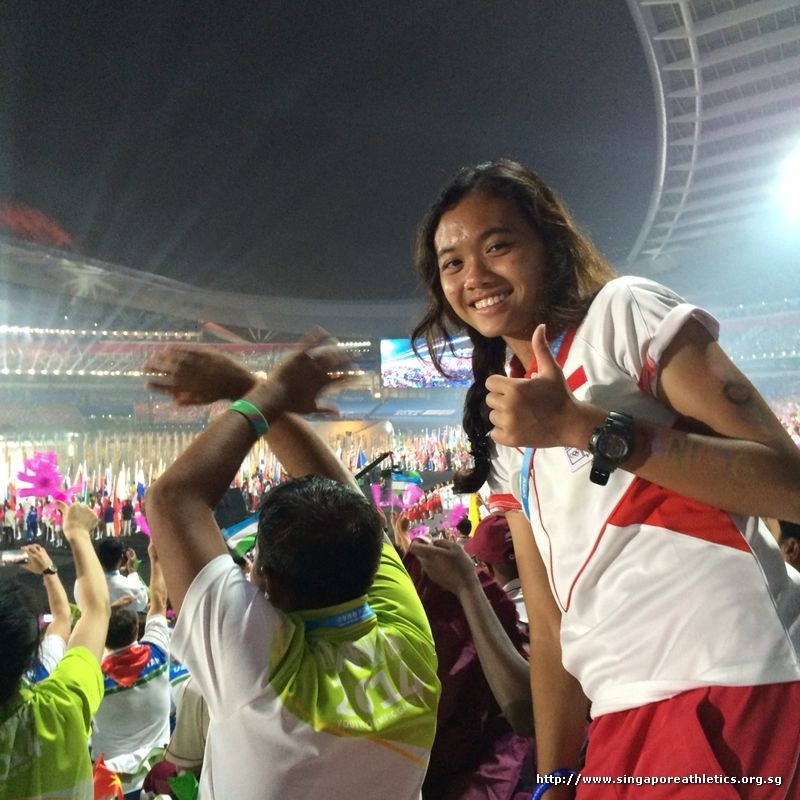 My preparations are in view of the 2015 SEA Games. 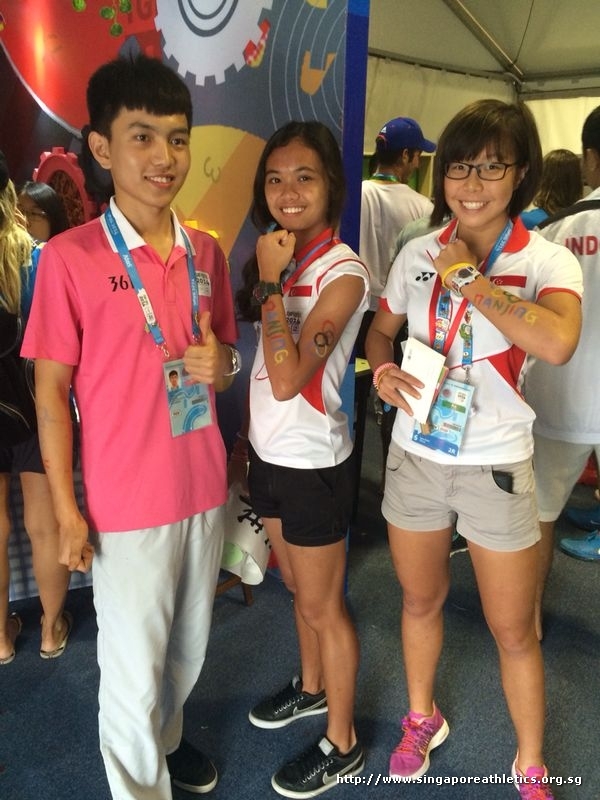 The Singapore Open will be useful for me to get some race exposure in other distances to get some variety. 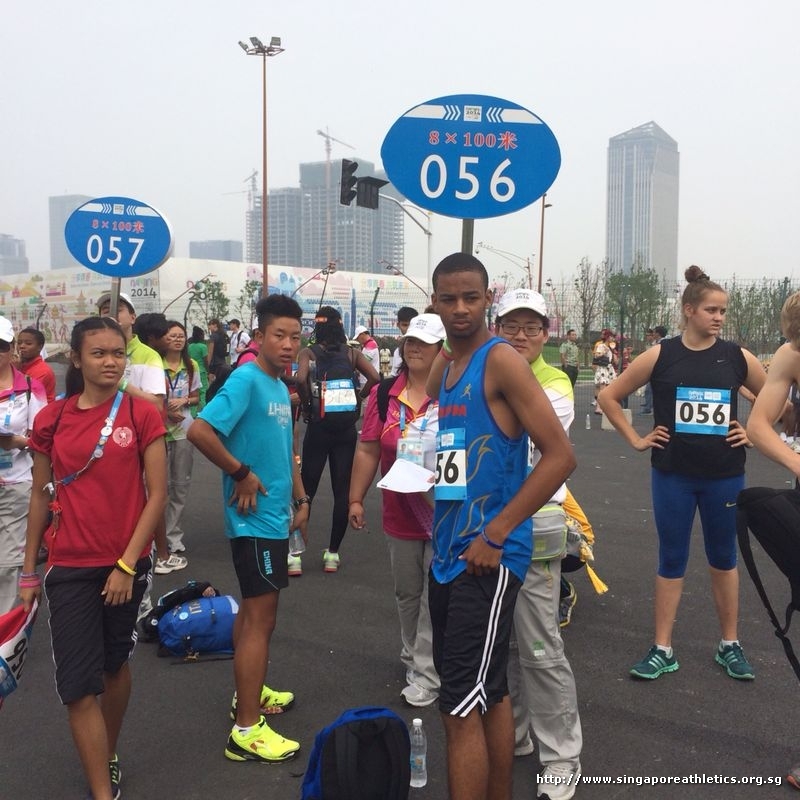 I haven’t raced the 800m in 3 years, so not really sure how I’ll do. But I’ll always give my best. As you get older, you tend to look up to people who are in your shoes, experiencing the same struggles as you. In that regard, I do respect athletes like Felix Sanchez & Chris Brown, both of whom have rolled back the years & have continued to be a dominant force at the highest level despite their advancing age. 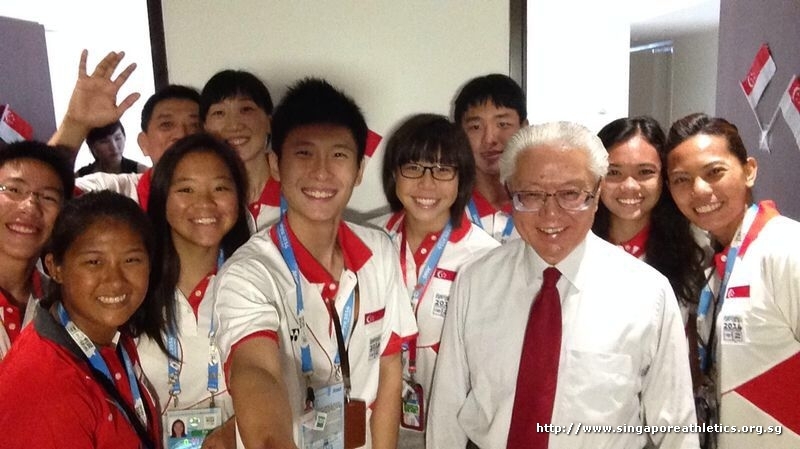 I started athletics when i was in JC with my coach Melvin Tan. Back then I was considered quite a late starter. But I guess that’s one of the reasons I’m still in the sport today. I was never trained to the point of burnt out just for national schools. 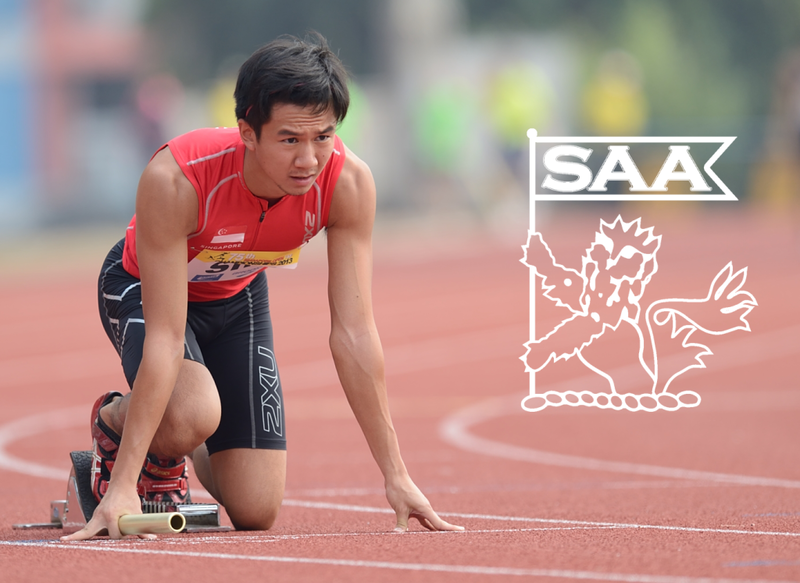 Calvin Kang will be representing Singapore in the Men 100 Meter Dash Open at the 76th Singapore Open Track & Field Championships 2014. 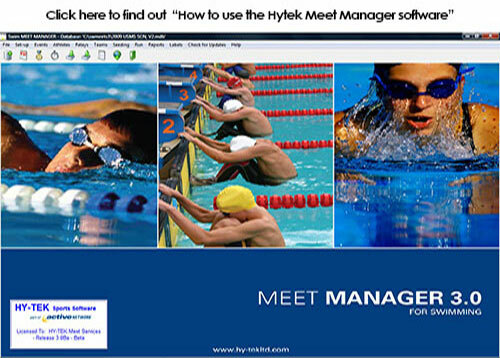 Here’s is his profile awareness of our selected National Athletes for the competition. 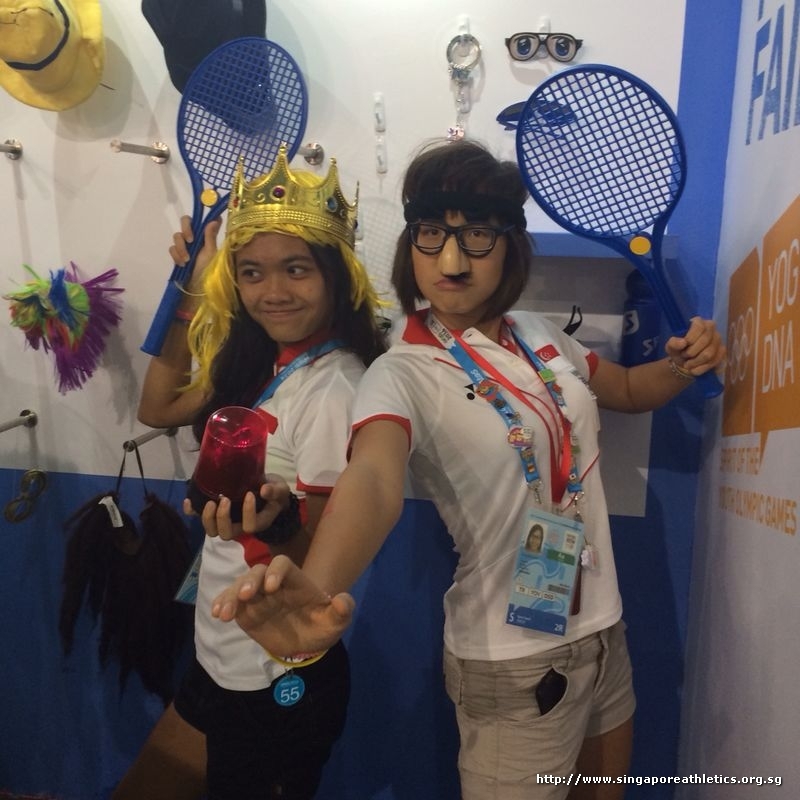 Preparation for Singapore Open is a bit short as I just came back from the Commonwealth Games! 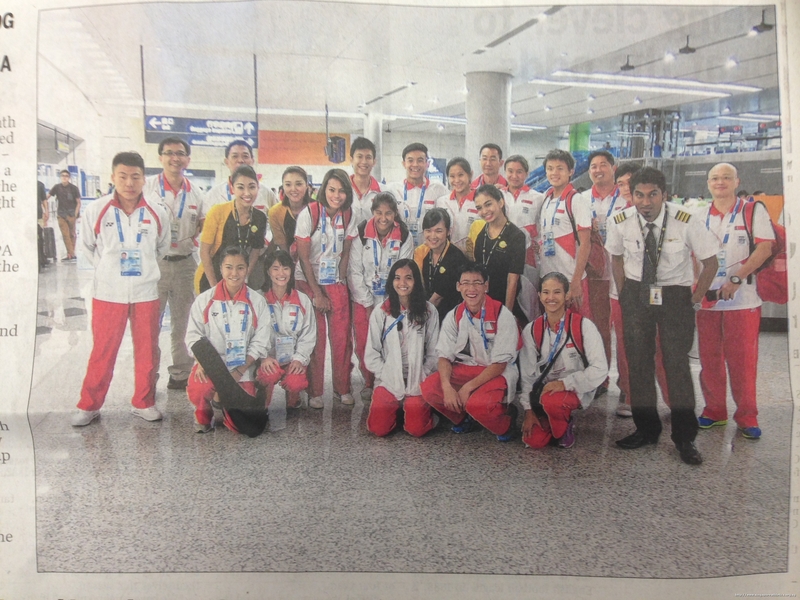 However, it will be a good prep towards the Asian Games next month! 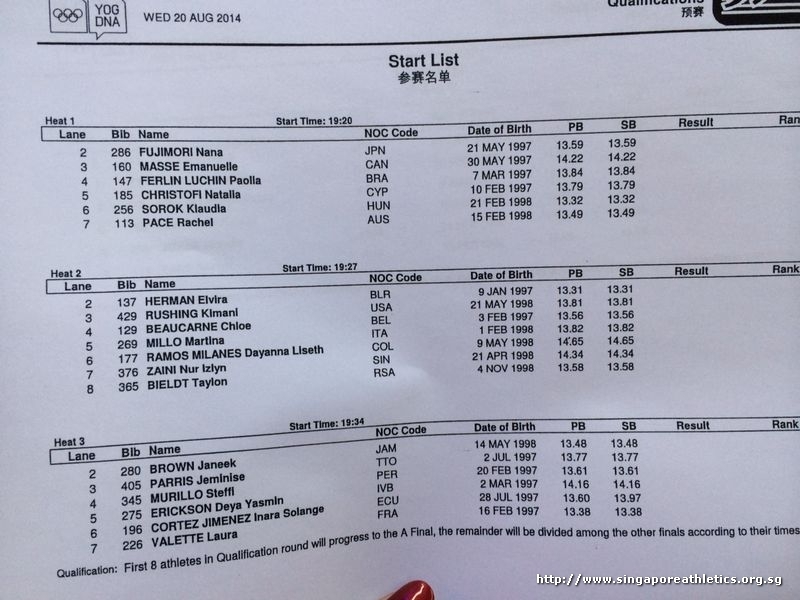 Expectation will be to run close to a PB in the 100m, if God willing to break 10.52s! 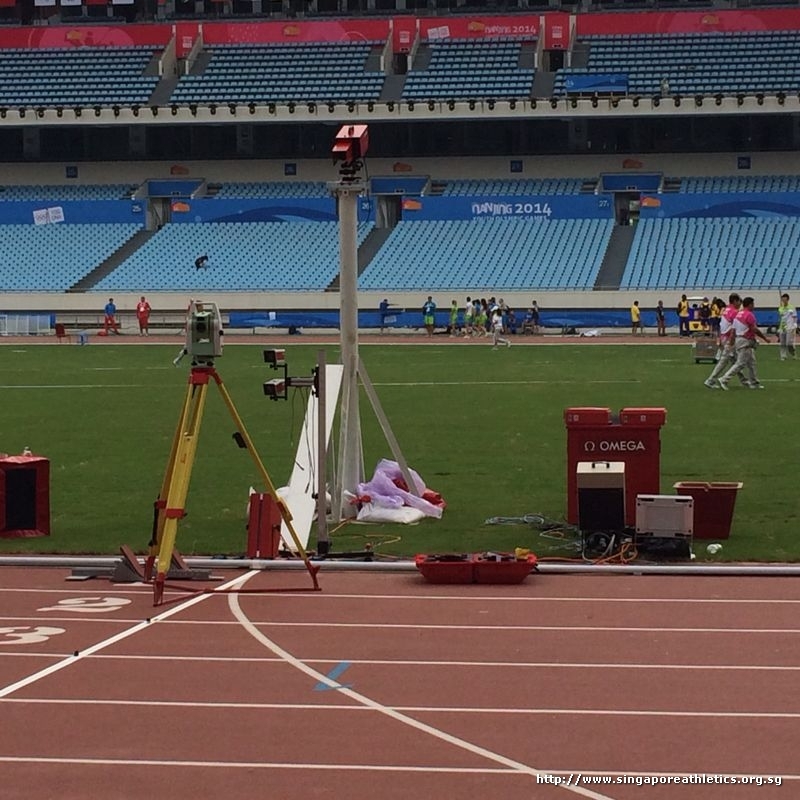 For the relay, we plan to run a SB, below 39.9s! I look up to Mr C Kunalan- he ran a superb 10.38s 40 over years ago, the support then was minimal but what was driving him was his talent, his passion and his focus to break the national record! I hope to emulate him! Elias Park Primary’s PE teacher spotted me with fast legs! 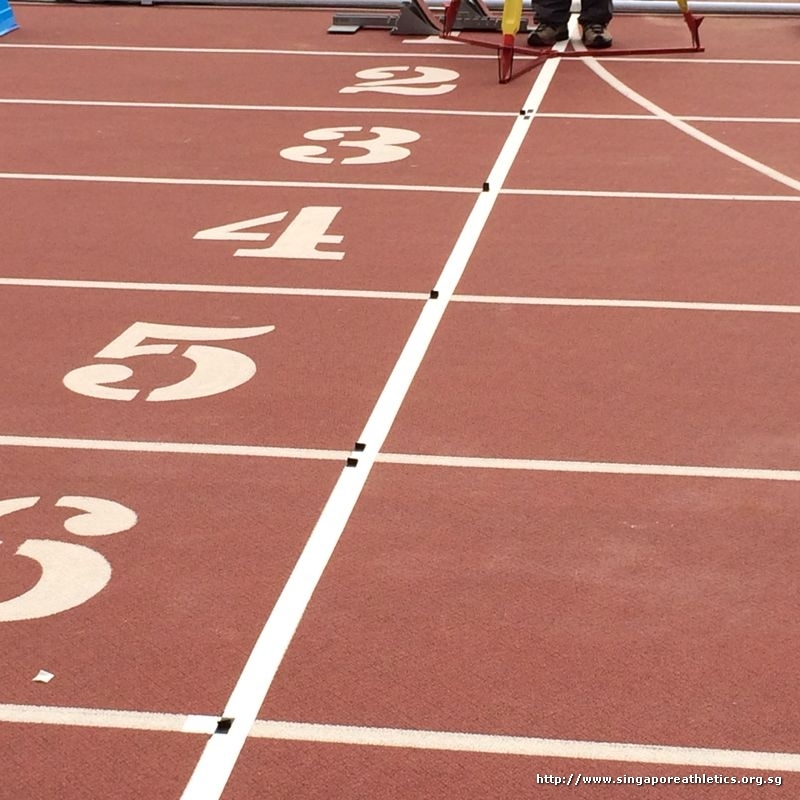 There are 2 areas that make a sprinter fast! 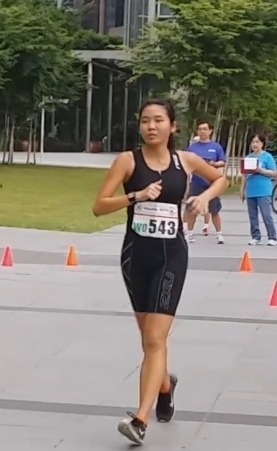 Quick legs + big stride! I had a very fast frequency at that tender age and it was a natural progression to try out sprints! I began to love it since.